I present to you Wiley B. Barkington- the best and worst fishing companion a man could ask for. He does hilarious things- but also refuses to stop trying to retrieve my indicator. He also likes to spot and chase fish. He pretty much reduces your chance to catch a fish by about 50%. 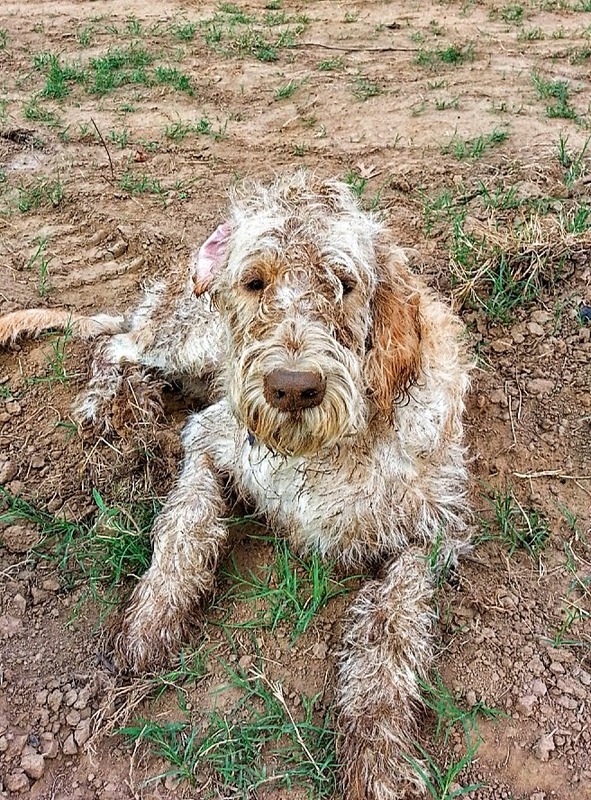 He also likes to roll in the dirt right before you try to get him back in the truck. He may be a terrible fishing dog- but dang it, he sure is fun. I have been a huge fan of C&F fly boxes for years. They were the best fly box on the market in my opinion and I have about 6 of them. C&F boxes are also very pricey and mine were beginning to wear out. As I looked for a few new boxes, I couldn't help but notice the new Umpqua offerings. I picked up a large box and a midge box and made the switch with my general tailwater box and my carp flies. Bottom line: I am going to be buying more UPG boxes. 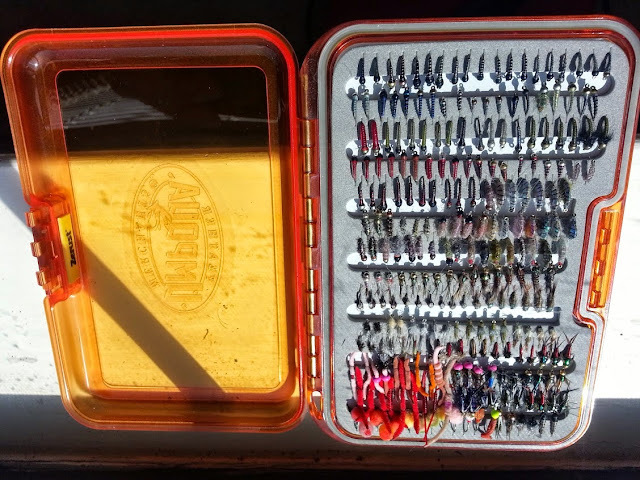 On the left is the Umpqua large box that I use for my carp flies, middle is my old C&F tailwater box and the right is my new tailwater box- the UPG Midge. As you can see, the UPG Midge box is much smaller than the C&F box. It holds fewer flies but is a much more compact package. 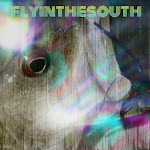 Honestly, I have always carried around too many flies and it just makes choosing one to fish with that much harder. I have been trying to pare down my fly boxes and this Midge box is perfect for that. The old C&F held about 940 flies and I had it filled up. There is no way a guy needs or has use for 940 flies. These are mostly midges, caddis, scuds and junk flies. Here is the old C&F box before I gutted it. I had recently moved some dries into this box because I used to have a dedicated dry-fly box, which is not necessary in my neck of the woods. 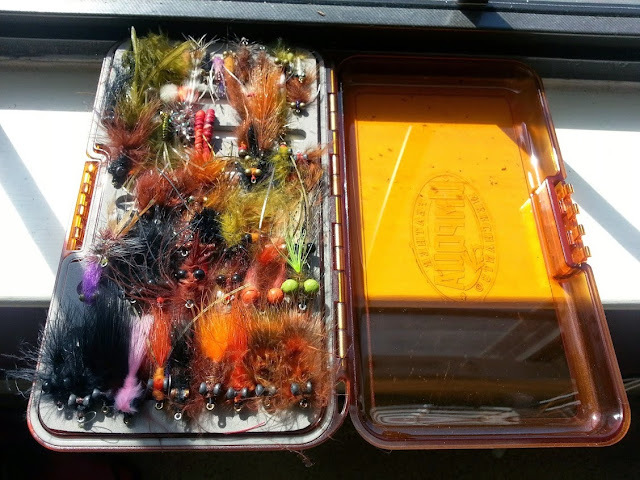 So I was carrying this box and a small streamer box whenever I hit the local tailwaters. Here is the Midge next to the large C&F. Quite a bit smaller and slimmer. I immediately liked two things about the UPG box: 1. The clear lid lets you see the fly you want before you even open the box. 2. The flush clasps are easier to open than the C&F and don't catch on pockets. I love the layout of the slits in the foam on the UPG. The foam seems similar to what C&F uses and holds flies very well. I did the midge, caddis, scuds and junk flies first. I guarantee this is a generous supply of flies for a day or five at a tailwater (unless you lose flies as fast as some of my buddies). I still carry a small streamer box. 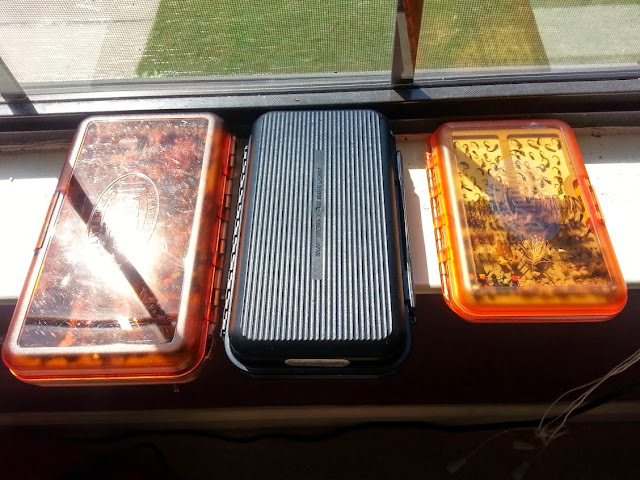 The third obvious feature of the Midge box is the pair of magnetic trays for holding tiny midges. I was skeptical of these at first but this is a very handy feature. I put a good quantity of midges in there and shook the crap out of the box. Not one midge fell out (which is good because I would never have found them in the carpet). This is a better system for tiny midges because they are annoying to get in and out of foam slits and often won't even stay in the slit. I added a good quantity of summer/spring dry flies to the large slit foam on this side. I carry all my large dry-flies in a boat box becasue I only use them when fishing out of a boat. 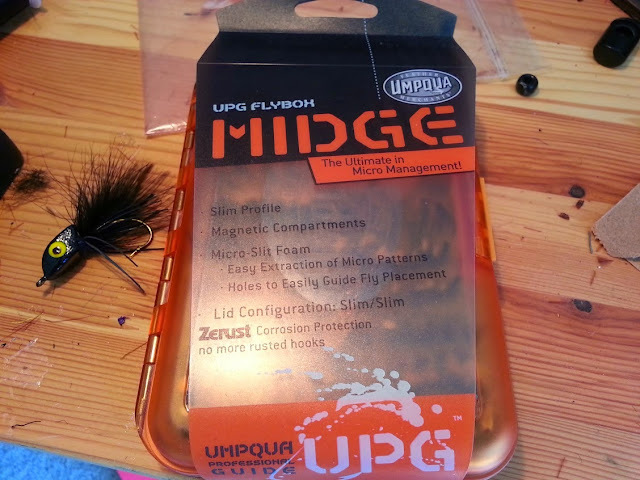 The UPG Midge is a perfect tailwater box for the water I fish. If you carry very many large dries there are other UPG boxes that would work better. This is my carp box. 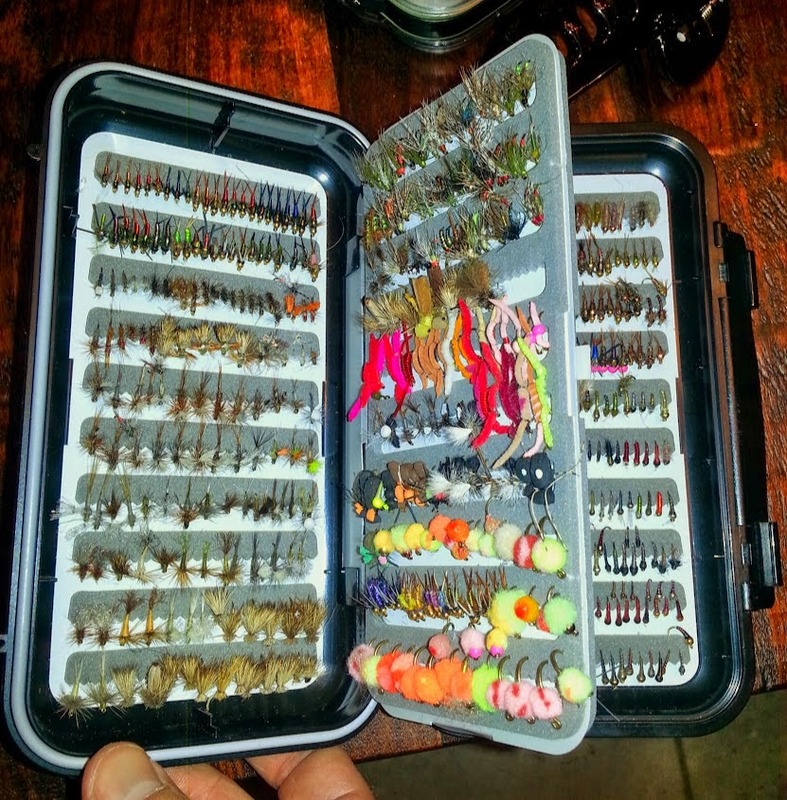 This is a large UPG box and it holds way more carp flies than I will ever need. It would also make a great box for smaller streamers, small bass flies or large nymphs. 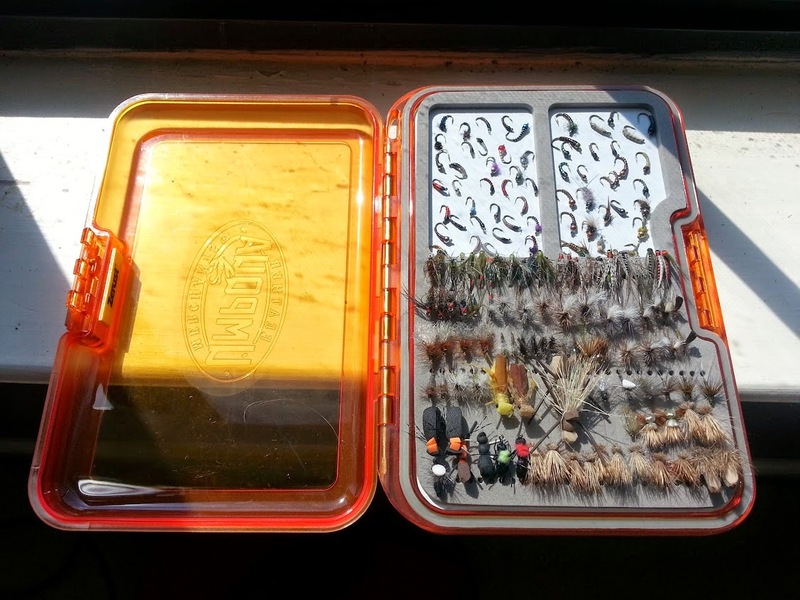 This box would probably be a great general box for you Western trout guys with your awesome dry fly fishing. Did I mention these boxes are seriously water resistant? My old C&F boxes used to be water tight- but the seals have worn and now they are as leaky as an old pair of Hodgemans. My new UPG boxes are definitely water tight and they have a "Zerust" patch that is supposed to deter rust. I have not tested this feature but it sounds legit.